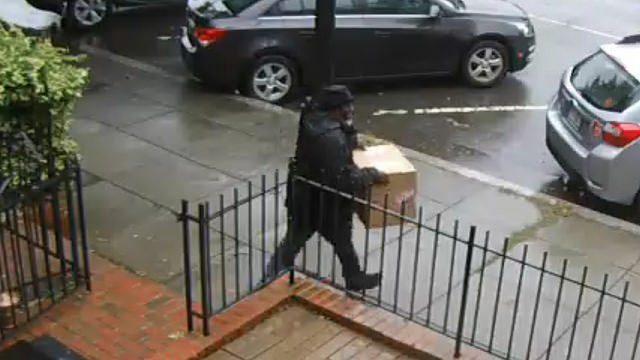 I’ve seen various posts about package thieves on foot. Yesterday I was the victim of a drive-by package theft. By a guy rocking a fedora who will now be known as the Fedora Bandit. He was driving a greyish, late-model minivan with a large dent on the passenger side. He pulled over, walked up to the door of the house, grabbed the package, loaded it in his van, and drove off. He is a middle-aged, burly guy (maybe 5’8) with a white goatee and a slight limp in his right leg. I was writing about an issue with Fed Ex. Basically my fiancé and I live in an 8 unit condo building off of Georgia Ave NW and Park Road. We have experienced numerous problems with delivery personnel leaving packages outside the building which inevitably are stolen or lost. Worst thing about it is when you contact FedEx they’re like, the package says it was left “on porch” or “at front door” which both equate to the street. Then they say you don’t get a refund because delivery was made- even if it wasn’t. Then there’s little recourse unless you buy from a merchant that believes your story.